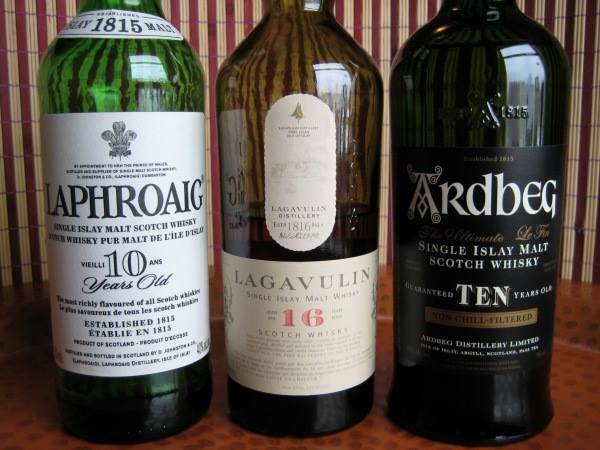 There are three mythical distilleries on the south of Islay: Ardbeg, Laphroaig and Lagavulin. I don’t know if it is the terroir, the water, the air, the peat, but their whiskies are among the heaviest peated drams on the world and they are deliciously great. And best thing of all is that you can afford them. Nose (90): strong. peat, iodine, seaweed, salt, citrus. Marvelous! Macho-peat! Palate (91): powerful, oily. peat, wood, honey, citrus, spices, earth, salt. Finish (90): longer than average. peat, honey, salt. There is very few things you can place over a table and be as good as this for that price. Take my word, if you enjoy peat, these three whiskies are all you need to live happy forever.